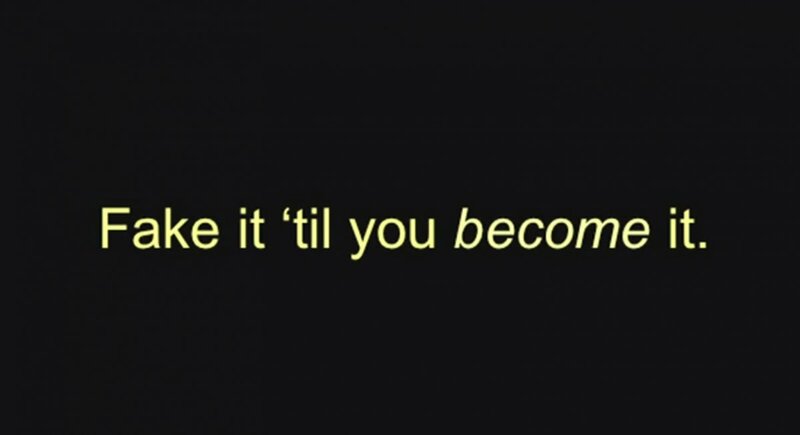 Two years ago, Amy Cuddy gave one of the most famous TED talks ever. Viewed by over 20 million people, her video currently ranks as the #2 most watched TED talk ever (Sir Ken Robinson’s “How Schools Kill Creativity” is #1). In her talk, Amy discussed the science behind nonverbal communication–basically, how our body language can help shape who we are. In a series of studies, Any found that people who sit in high-power poses for a few minutes show an increase in testosterone and a decrease in cortisol, which is a hormone released in response to stress. So, her findings indicated people who sit or stand in high-power positions are generally more confident, assertive, and do better in stressful situations than people who sit or stand in low-power positions. Standing in power poses for just two minutes can have a big impact on how you feel about yourself. “So it seems that our nonverbals do govern how we think and feel about ourselves,” concluded Amy in her talk. Check out Amy’s talk below. 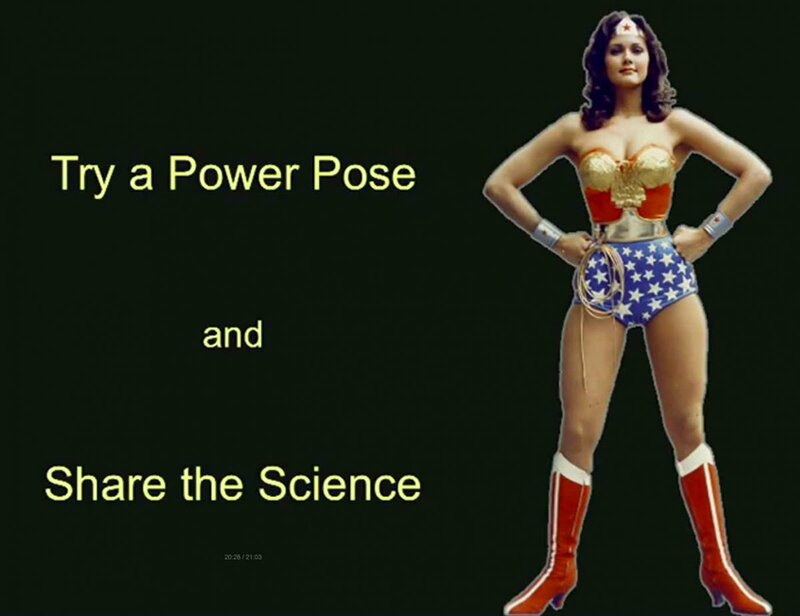 I think it would be interesting to have students practice their power poses before taking a test. Would it help them feel more confident? Would they do better on their assessments? Would they feel better about themselves? I’m glad I did it. The next time your students feel uncomfortable or think they don’t belong, share Amy’s story and have them do a power pose. All the sessions from yesterday’s professional development opportunity can be found here. There are about 12 hours of free professional development to be had whenever you need some inspiration. Just use the drop down menu on the top of your screen to select which presenter you would like to see. Jonathan – Great job! I learned many ideas and strategies that I will pass along to my colleagues along with the link. Thank you!